Let’s go , now that Mesa is installed we will export the Sample scenes. 2. 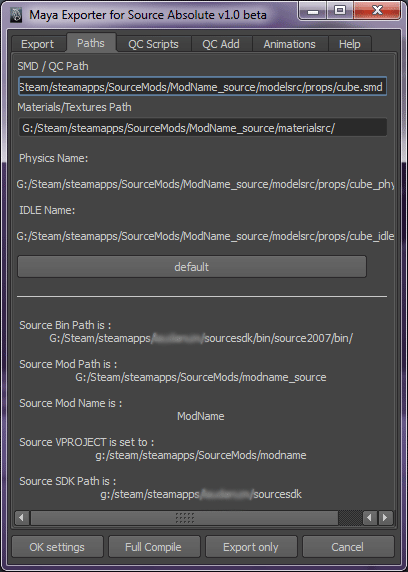 Open the Source SDK from Steam tools and set the right game you want to export for. If you want to export to Dota 2, and TF2 you will have to edit your GameConfig.txt . Open it and copy the default configuration and edit the path to Dota2, or TF2. With Portal 2, you must download the Portal 2 authoring tools, from Steam Library > Tools. with L4D and L4D2, you must download the respective Authoring tools from Steam library > Tools. 5.Take a look on the Shelves to locate the MESA Shelf. The smd option attributes for the export are stored into the maya scene, so you probably have the same path than my personal path. SMD / QC path : this is the location where the SMD and the QC script will be exported. The default name will be identical to the name of the scene., you can change the name, but it’s better to have the right scene name than your final MDL. This is also important to not change the directory or the export will fail to export. 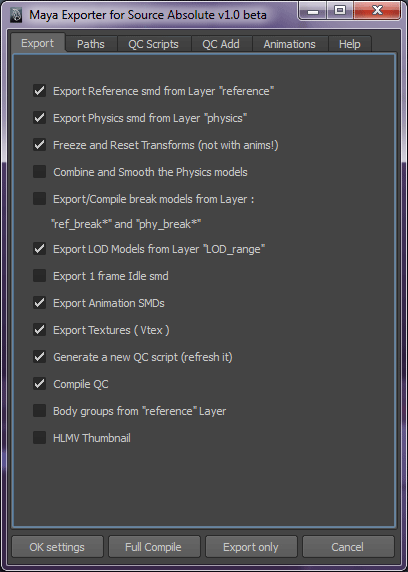 Materials Path : The materialsrc path is always the materialsrc directory, if when you click on Default button and the path is not the “/mod_source/materialsrc/“, you probably get some trouble to export the textures. The information at the bottom are just here as informative title , and to tell you what environment variables are set in your maya.env . It could be helpful if you work on several mod projects. 8. now switch to the Export Tab. 9. Click on OK settings . 10. Important : Save the Maya Scene. 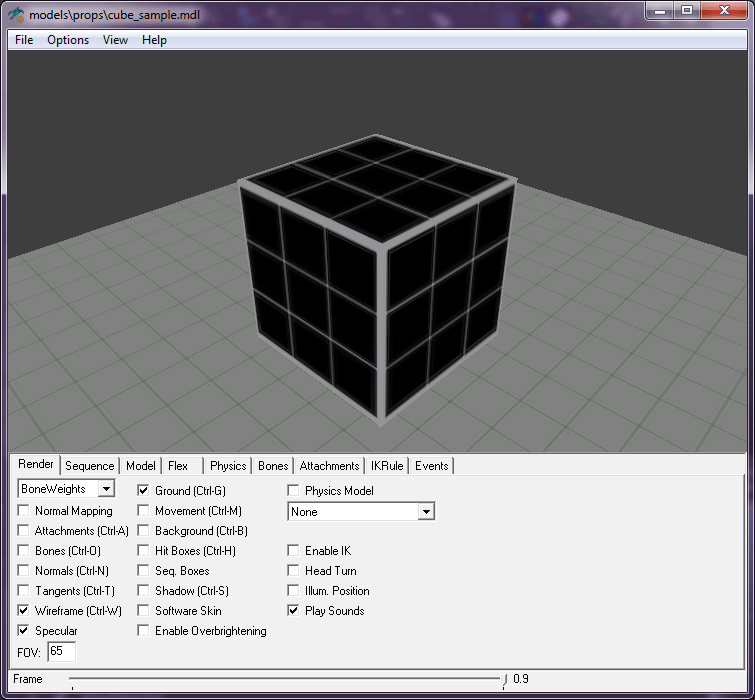 Do not forget to launch the source sdk and to set the current Game, on your Mod Project. or the compiler will fail to export the assets. 12. Click on Full Compile . 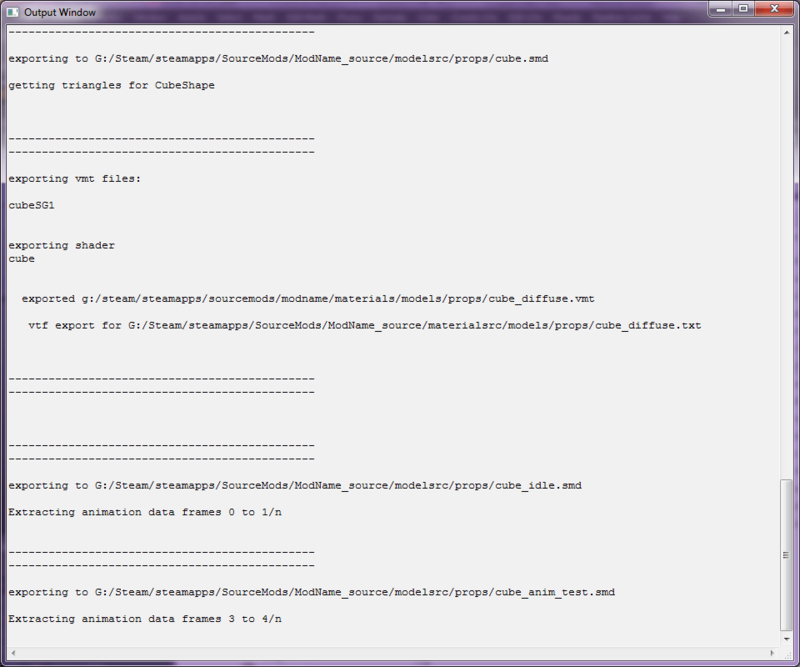 You can see the progress bar , and you get some feedback from the script editor and the trace window. 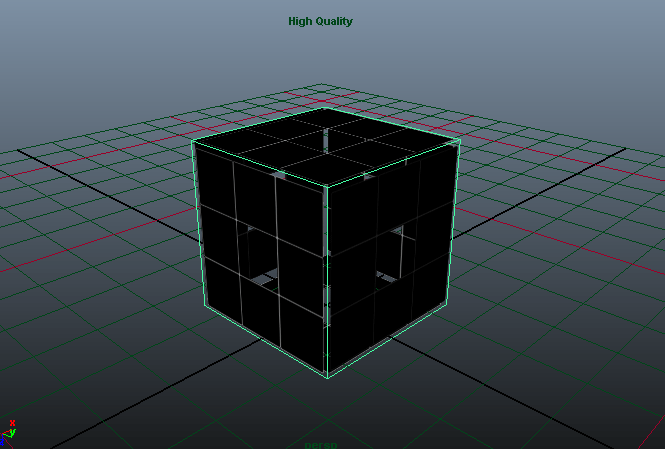 WARNING: Error with convex elements of cube_phy.smd, building single convex!!! !